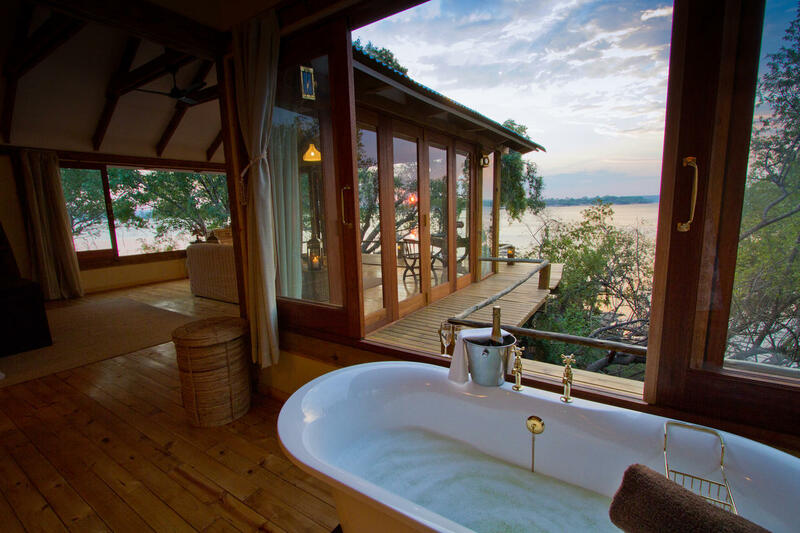 The Tongabezi Lodge is found on the Zambian side of Victoria Falls, in Livingstone. 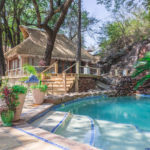 This lodge is 18km upstream from Victoria Falls and while it is set away from other lodges, it is still close enough to all of the day trips. Priced from USD 620 per person. 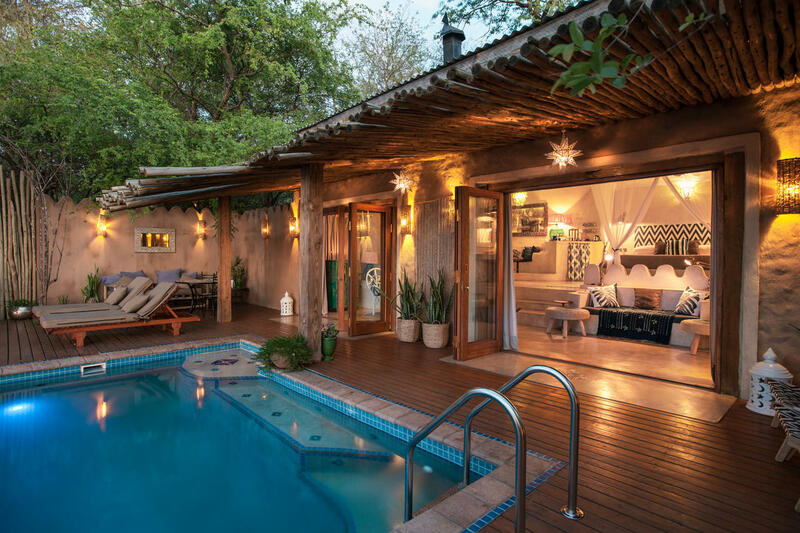 Tongabezi Lodge provides a tranquil place from which to explore Livingstone and the areas around Victoria Falls. 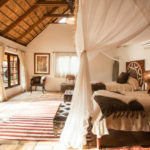 It is situated 18 km upstream from the Victoria Falls and is renowned for its romance exclusivity. 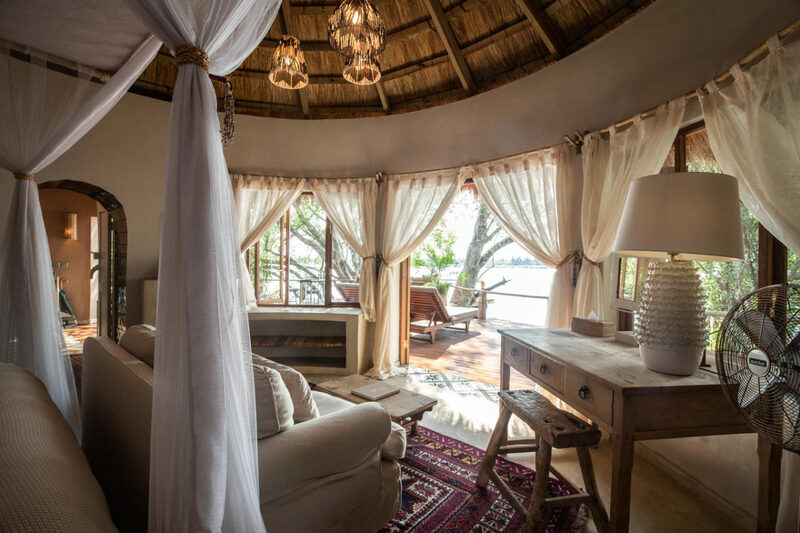 Days at the Tongabezi Lodge have no set pattern and can be spent exactly as you wish. 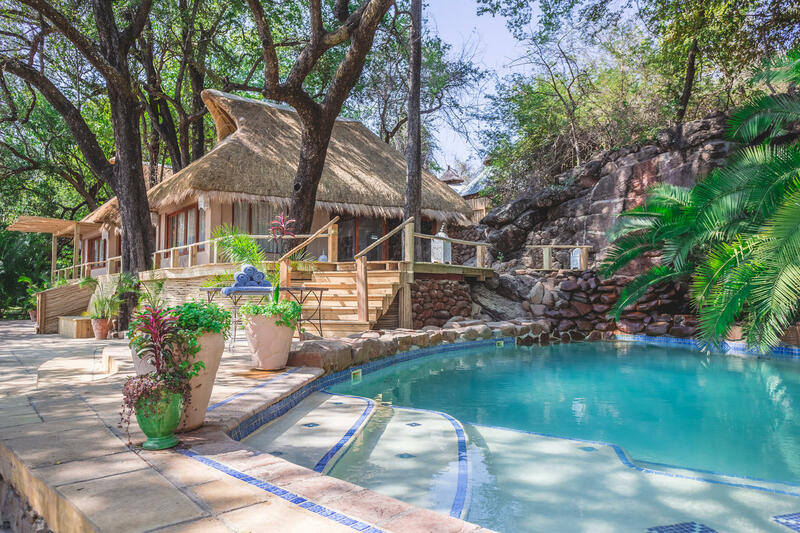 Choose simply to relax at the lodge or make the most of a wealth of activities that will keep you busy for days! 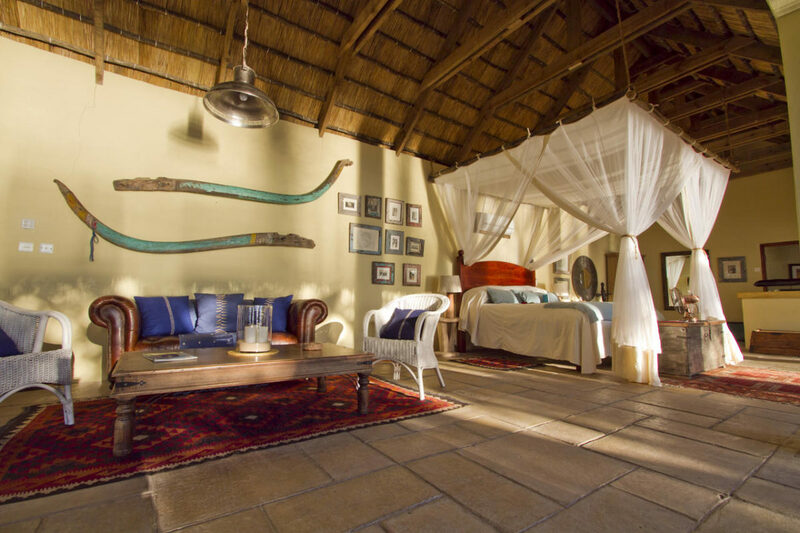 Each house and cottage at Tongabezi Lodge has its own valet who will look after you throughout your stay. With his in-depth knowledge of Tongabezi and the surrounding area, he can become your indispensable source of information. There is no set pattern to days at Tongabezi. 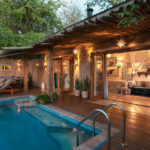 Guests do as much or as little as they wish, with game drives, bush walks and boating trips all included in the price. Take a short guided tour of the majestic Victoria Falls. You can also enjoy the Falls from inside the gorge, from Livingstone Island and from the air. Each is unique and will pamper to your most romantic of moods. There really aren’t words to describe this place!! We stayed here as part of our honeymoon and we couldn’t have been happier. The service was unbelievable and the best we have ever experienced, our valet Matron was so wonderful and looked after us both so well. We loved all the staff there as they were so friendly and were determined to make our stay incredible. JC, Joseph, Felix, Matron, Clement and Brian were ones we particularly want to mention as they went above and beyond! Our room was just stunning, we stayed in the amazing Nuthouse which had the most breath taking view. Every night Matron did something special for us whether it was a romantic bath, champagne in the room, finding special locations for our dinners or making special cocktails for us. Nothing was too much for the staff, one of the days I wasn’t feeling great from the malaria medication and JC sorted for some medication to be sent to the lodge to help me feel better. They also found out that my husband loved Hunters Gold which they didn’t have in stock but ordered some in especially to arrive that night. Just incredible service! 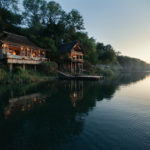 All the activities at Tongabezi were fantastic we loved the sunset cruises with the added bonus of stops for sundowners, the Vic falls tour, helicopter ride round Vic falls, tour of the village and school. The game drive was also fantastic as it was a great introduction ahead of going to Botswana. One additional they have added in recently which we feel worked really well is the new pool area with bar as it is a lovely place to have some downtime. Probably the biggest highlight of our entire honeymoon was having the school choir come and sing for us, whilst we were having lunch looking over the Zambezi river. We both find it very emotional and for us it was the point we completely feel in love with Africa. It was an incredibly special moment that we will treasure forever! Overall our stay at Tongabezi was magical and we will definitely be returning!!! This place is heaven on earth. 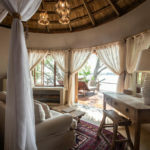 We stayed here for three nights after a two week safari and it was the best place to relax and have a romantic last few nights together – a great alternative to the more traditional beach spots like Zanzibar. The activities that they offer are really fantastic. 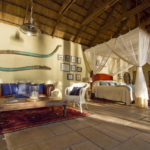 Of course we went to Vic falls one day, which was great, but what we really appreciated were the fantastic options around the lodge itself, like fishing, touring the vegetable gardens and the school, and taking lots of beautiful sunset rides along the river. It was a very cool way to see some of the wildlife from a boat (and way more relaxing than a bush drive!). The staff are attentive and accommodating, the food is delicious, and the accommodations themselves (we stayed in a river cottage) are comfortable, luxurious and authentic-feeling. 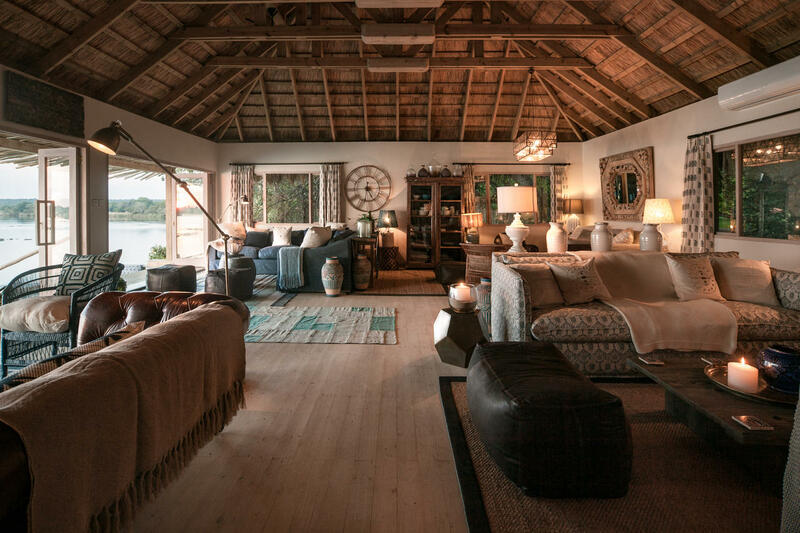 Tongabezi is an exceptional lodge and one that you will never ever forget. Once you arrive there you don’t want to leave. It is beauty at every turn and step you take. Flower and tree lined paths elegantly groomed are filled with songbirds, monkeys and hippos hanging out in the distance on the river. Your cottage is located on the river and decorated beautifully from your private deck with couches, chairs and tables and loungers for just chilling out if you so choose to stargaze late into the evening. 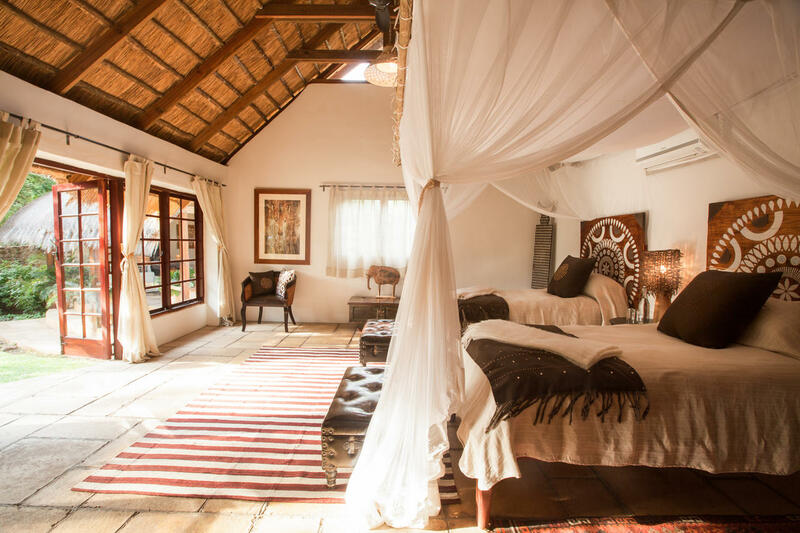 The interior is decorated in beautiful local tiles, hand made linens and pillowcases in local tribe decor. The bed faces floor to ceiling windows so waking in the morning to the rising sun is a sight to absorb and enjoy as your personal butler brings (pre-breakfast) coffee and biscotti to welcome the new day. Workout in a small, beautifully set gym and be sure to get a session with the Tongabezi stretch master (I was not fortunate to have a session, but will when we go back). 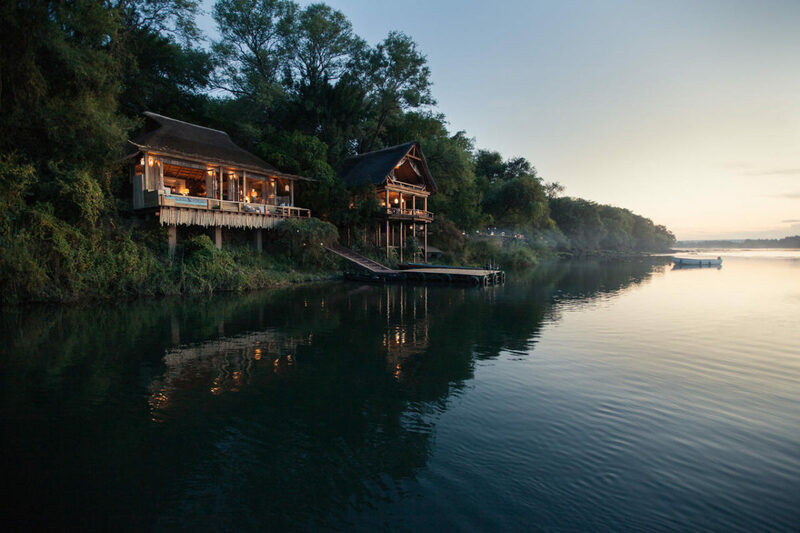 Eating at Tongabezi is even more of a delight. There are private rooms and docks for romantic dinners and lunches (you rarely see other guests as the staff is so keen as to your schedule they do an amazing job at making you feel as if you are the only ones in this slice of paradise. 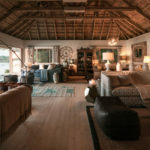 After an amazing farm to table dinner (in your private, romantic setting), you will meet your chef as he / she will personally come in to thank you for enjoying the evening at Tongabezi. They have an on-site locally run organic farm – that is cared for by the local school children – all your food comes from this gorgeous and delicious garden! 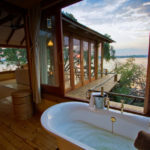 One night is not enough time to spend here you need a minimum of 3 nights and if you are like us, you will never want to leave… Tongabezi is unforgettable.